How did you spend the summer holidays? Sébastien de Fooz went for a month-long walk. Embarking from his home in Etterbeek, 45 year old de Fooz walked the streets of Brussels equipped with just a backpack. Sleeping under the stars, in churches or parks, he wandered the city to meet new people and experience Brussels from a different perspective. A new app is fighting against food waste in Belgium, one meal at a time, by connecting consumers with vendors who have surplus food. At the end of each business day, restaurants, hotels, grocery stores and bakeries can list their leftover food for a discounted price on Too Good To Go, a concept originally developed in Denmark. Jonas Mallisse is in charge of Too Good To Go here in Belgium. He explains how it works. Brussels Design September 2018 is more than 100 cultural and commercial design events across the city. There will be exhibitions, conferences, an Arts & Crafts itinerary, the Commerce Design Awards and the Brussels Design Market (BDM) - in all, many, many places for interaction between designers, architects and the public in stores and pop-up stores, galleries and cultural spaces. We hear from Roel Rijselbeek, director of Design September, Julie Savie of BDM, Julie Bonnichaux of Up Brussels, designer Charlotte Lancelot, and architect and designer Alain Bertaud. For the 20th anniversary of the Grand' Place's inclusion on Unesco's World Heritage List, flower carpet makers from Belgium, Catalonia, Germany, Italy, Japan, Malta, Mexico and Spain were invited to create flower carpets portraying Unesco sights in their homelands. We speak with artists from the different countries as they create their carpets in front of the Bourse in downtown Brussels. 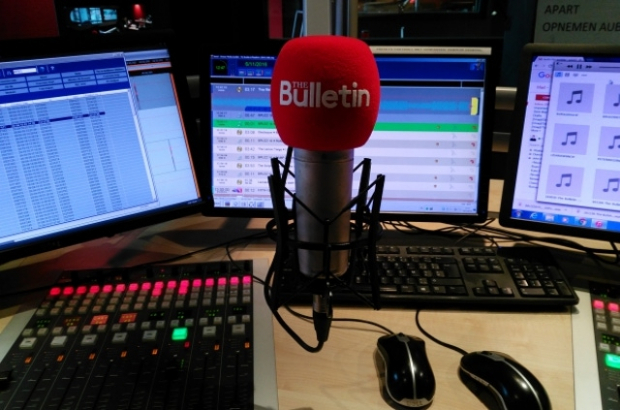 The Bulletin - Brussels in English - can be heard every Sunday lunchtime from 12.00 on BRUZZ 98.8FM, on digital TV and online at http://www.bruzz.be/live. Listen again to all of our reports here.